Cybersecurity is a huge challenge for industrial and for critical systems in general. 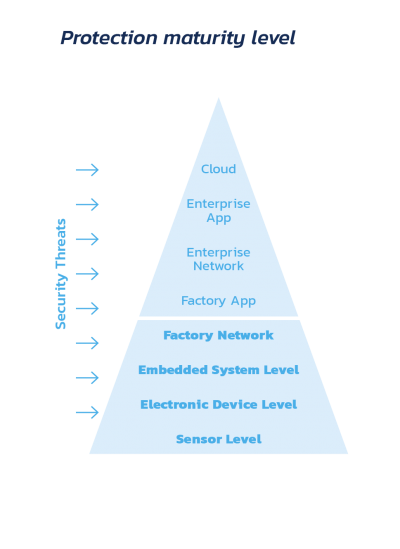 A multi-layered approach is mandatory to cover the security threats that may arise at sensor, integrated circuit, embedded device, network, application, enterprise and cloud levels. Therefore, the number of agents and technologies involved is large and heterogeneous. Any critical system requires a threat analysis and as a result, a combination of security solutions would need to be applied to protect the different layers involved. An embedded platform focused on critical systems should follow the “cybersecurity-by-design” approach in order to ensure that the most adequate security solution is applied in each layer of the equipment. Additionally, due to the requirement of real-time operation that need to be secured, the most advanced technologies are providing “on-the-fly” security mechanisms that apply the state-of-the-art cipher suites, while ensuring the reaction time for control operation. As an example, the Electric sector is pioneer defining a standard for securing the most stringent real-time traffic used in the sector (IEC 62351-6) which can benefit from these innovations.